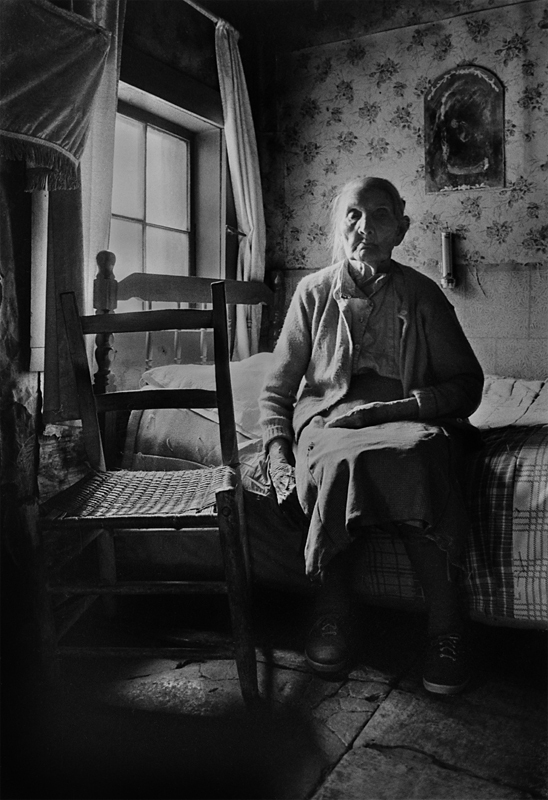 I made this photograph in 1975, less than two years after my arrival in Madison County. I had gone with Dellie, and her sister Berzilla, to visit an old friend of Berzilla’s named Ernie Franklin who lived in the small community of Chapel Hill in the county. She knew him from the older days, when her husband Lee was alive and they would regularly make music in the community. Ernie played fiddle and banjo and also made instruments and tools. She didn’t know where he lived exactly, but they figured we’d find him. After some asking around and missed turns, we turning onto a dirt track, passed a broad empty pasture, and into a hollar with nice southern exposure. Soon, we came to a small cluster of buildings – a house with a thin smoke coming from a stone chimney, the remains of the old house with wood shingles, now used for storage, and I think a small barn. A small, wiry man came out of the house. Ernie Franklin. After he and Berzilla got re-acquainted, he invited us in to meet his mother who also lived there. 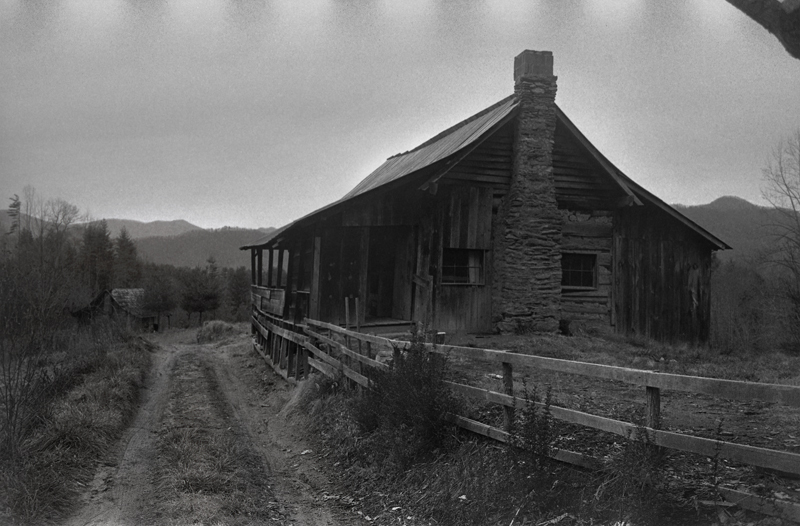 With winter approaching, Liz Franklin was soon going to live with her daughter in Asheville, and once inside the house, you realized how tough it would be for an older, frail, person. There was no indoor plumbing. An outhouse. Heat came from a fireplace and coal stove set in the middle of a small room. No electricity – light came from oil lamps. This was how she was raised and lived most of her life, and you could sense she didn't want to leave. Years of hard work showed in her face and hands, but she clearly wouldn’t last through a hard season. I haven’t shown or exhibited this photograph very much over the years. Initially, I loved it. It seemed to embody a romantic notion of place and people for me - tough, resilient, wizened, looking to the light, and seeing a past. But with more time in the community, I began to understand those heroic characteristics were largely coming from me and less so the people themselves. People like Dellie, who had lived hard lives, knew there was little of the romantic about it. So, I put the photograph away and published another from the same visit in my book. But I’ve re-visited the first photograph in recent months, initially as part of digitizing my negative files, and then because I realized I still love the portrait. Thirty-eight years after the image was made, I can look at her face and see an idealized, noble rendering that fits neatly into a specific stereotype of place. But now, I can also see that her look is true.